Calling all in search of a next level surfing experience! Downhill Adventures now offers a Surfing & Kitesurfing Combo. We give clients a lifetime of accumulated surfing tips, technical info and practical surf wizardry from experts to get the most out of the day. 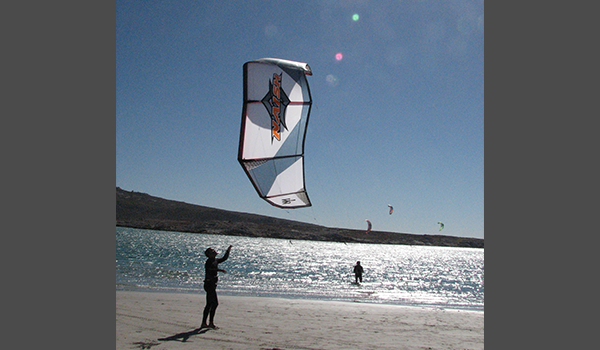 Our day starts with the best Kitesurfing experience in Cape Town. Join Downhill Adventures for a lesson in the world’s fastest growing adventure activity – it’s a guaranteed adrenaline rush that will last! 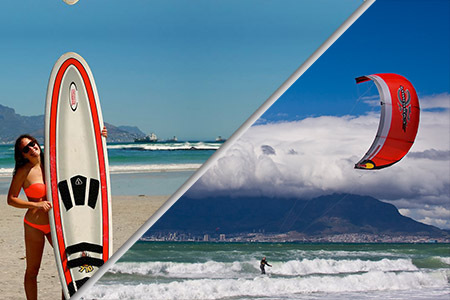 Cape Town is known to have some of the best Kitesurfing conditions in the world. From October through March the wind is more ideally suited to Kitesurfing than anywhere in the world. That’s why professionals from all over the globe flock to Cape Town for this reason every year. 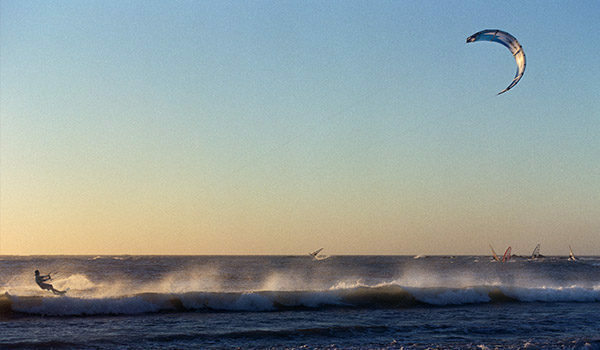 Cape Town is literally a Kitesurfing Mecca. 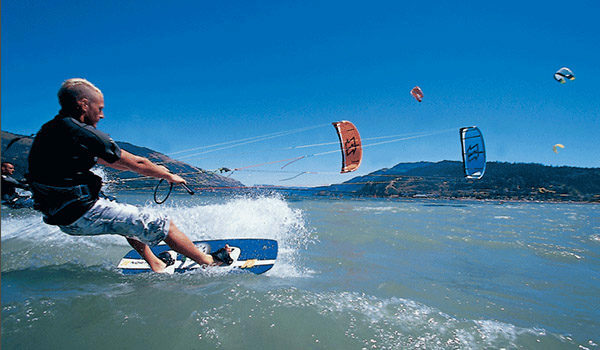 We teach absolute beginners the basics of Kitesurfing. Professional kiters will show you the correct way to handle the kite on the beach, take you into the water to give you individual Kitesurfing training, make you confident and calm once you’re in the water, and prepare you for getting air high above the waves. 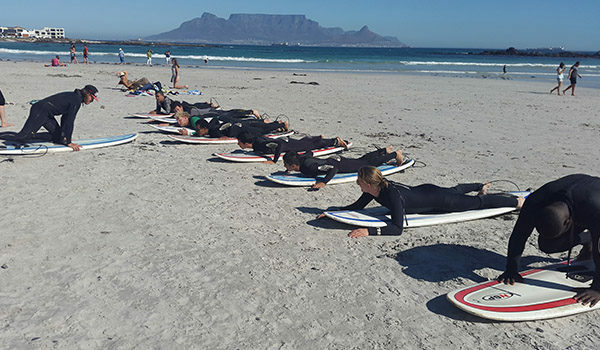 Next up: Surfing – a popular activity that an increasing number of individuals are exploring. Expert guides will fill you in on surfers’ secrets of how to paddle out, read the ocean, catch a wave, and how to control your body to stand up. 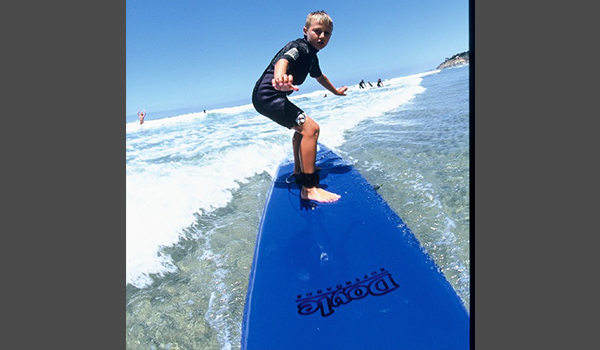 We’ll start you on a Mini Mal type surfboard, perfect for starting out. Lessons are structured to take the absolute beginner from surfing zero to wave-riding hero. Once you’re up, we’ll show you how to progress and really feel the stoke! At the end of the day you’ll have a hard time deciding which style of surfing you enjoyed more. Are you a king of the waves or a king of the air? Our guides use proven techniques to get absolute beginners standing and surfing on a wave by the end of a day so no previous experience is necessary. 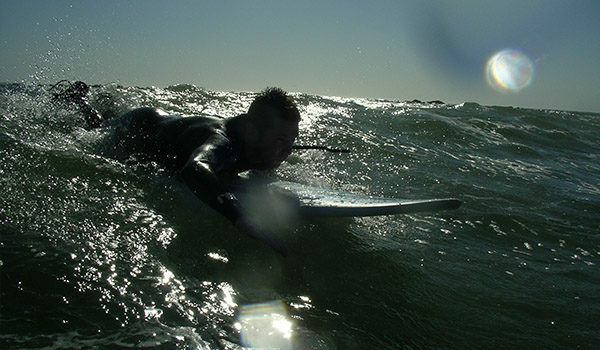 Being a good swimmer certainly helps but even a basic swimmer can become a skilled surfer. However, if you cannot swim at all then spend some time taking swimming lessons before taking on the mighty ocean! Cape Towns waters can be rather cold but we will supply you with a wetsuit to keep you warm during your surfing experience. Yes, if you are reasonably fit and you are keen enough to persist and learn. Kite surfing is more about technique than strength. 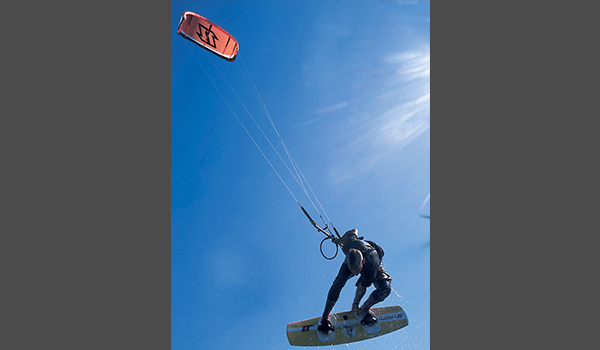 There have been a few known major accidents while kitesurfing so for kitesurfing or any other disciplines of power kiting, safety has to be taken seriously. Make sure you follow your instructor carefully.